Disclaimer: The views expressed in this presentation are solely those of the interviewer/interviewee and do not in any way represent the views of the Holywell Trust, it's partners or their funders. The UK's withdrawal from the European Union will not take place on March 29th 2019 as planned and will now be either April 12th or May 17th, depending on whether Theresa May can force her Withdrawal Agreement over the line. 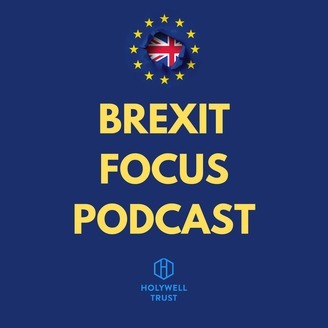 Paul Gosling and Gerard Deane discuss the twist and turns in the negotiations and the events occurring within the House of Parliament over the past few weeks. 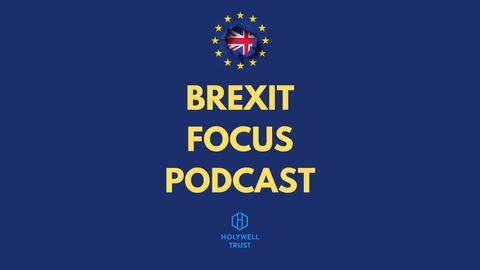 Guests this month include Ivor Ferguson, Ulster Farmer's Union, who discusses his fear for cross border trade and the agriculture industry in Northern Ireland (in general) due to high tariffs in the event of a No-Deal Exit. In his interview he bluntly explains why he and the union want a deal. Professor Siobhan O'Neill from University of Ulster talks about Brexit's impact on the mental health of communities and the issues it is causing at that level and on an academic level, as further problems on funding becomes more and more clear. Finally Paul Stafford, University of Ulster, is leading a piece of research on the Community Impact caused by Brexit and he needs your help. To take part in the Ulster University Brexit survey click this link -https://ulsterhealth.eu.qualtrics.com/jfe/form/SV_eX7dgAgPqiUwYU5 If you are an EU citizen hoping to reside in the UK after April 12th then you will need to apply for settlement status. Paul Gosling takes some time to address the "Settlement Scheme", it's complexities and how the process unfolds. Please feel free to comment on our Apple Podcasts, Stitcher and Soundcloud pages and don’t forget to rate the programme. Thanks for listening and sharing the links.